I am making a new kitchen garland today. “Repurposing” an old pattern and a few yarns I’ve had in my stash for a while. 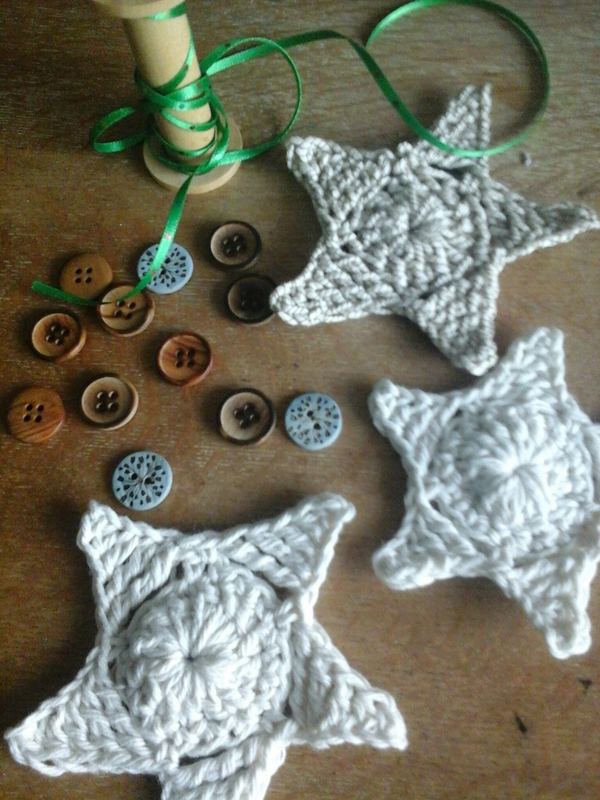 The pattern for the star motif was published in issue 64 of Inside Crochet as part of a feature I wrote on crochet for celebrations. It’s still available as a dugital download. One of the yarns I’m using is Habu textiles natural cover cotton, which I love. I bought a huge supply from Purl Soho in New York, knowing it would come in useful some day. It’s no secret that I love working with natural fibres and I love how the Habu is crocheting up so firmly (on a 3mm hook). I’ve also been using up some Stylecraft craft cotton, which was originally bought to make dishcloths! For me, this project sums up my philosophy of craft, using natural fibres, simple patterns to create beautiful things. I’ll hang this in my kitchen , where it will make me smile.